2016 has brought a rush of optimism and opportunity to the Niagara Falls real estate market, primarily thanks to this year’s hot housing market in the region. The Niagara housing market has been steadily increasing over the last year. It joins a list of new activities that have given the local economy a boost. If you’ve been considering investing in property or moving to a new area, check out Niagara real estate for your next move. Niagara’s economy has been on the rise since 2015, according to the Ontario Chamber of Commerce. The previous decade saw the economy fall, so these numbers show a rise of optimism and a new hope for the area. It’s a sign that the times are changing. 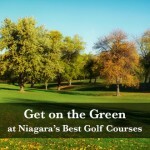 Niagara is becoming the place to be for business people, residents, and investors. The rise in the real estate market, successful local business opportunities, and promising new developments have all contributed to the promising future of Niagara. The robust housing market activity is expected to expand into 2017, and possibly further in the future. Residential construction in Niagara has also been climbing, with an increase in building permits issued for the next year. This increase in residential options showcase the fact that more Niagara residents are looking to purchase property in the area. Houses are also selling fast. The amount of time a house stays on the market has steadily decreased within the last year, down to an average of just 48 days. This means that sellers could have their homes sold within two months, with a quick turnaround time. Most of the houses are also selling for close to, or over, their asking price. Last month, the average home sold for 99 to 100 percent of their asking price. Now is the best time to put homes on the market for the highest return on investment. Many industries benefit from the increase of building construction. The construction, landscaping, real estate, and manufacturing industries are all expected to see a rise in profit over the next year. As a result, the retail trade, transportation, and tourism industries will get a bonus. Employment rates for the area are directly influenced by the success of local businesses, which is a major factor in today’s day and age. The employment rate for the Niagara region took a major hit after 2009, but has made an impressive comeback in the last few years. Since the end of 2014, the employment rate has grown by 5 percent. The boom in local industry and development projects has created many new job openings for hopeful residents who are looking to avoid having to move to Toronto for employment. Asian investors have had their eye on Niagara for quite some time now, which has helped to revamp the economy in Niagara. These investors are experienced business people who have brought their skills to boost the area. Many of the fine wineries and vintage hotels have been purchased by Asian investors in Niagara-on-the-Lake. 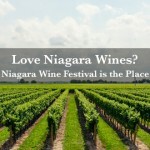 This has added business savvy to Niagara’s already popular and successful wine industry. Two development projects are in the works for Niagara Falls, both led by experienced Asian investors, and both located near the Thundering Waters golf course. One of these projects, the Paradise development, is led by GR Investments. It’s set to be a “city within a city,” with residences, restaurants, entertainment options, and shopping all in one small resort-style village. The other development project will be Niagara Falls’ first luxury condominium building, led by Evertrust Development Group. It will also be a resort-style residence, with first class amenities on-site. More people are moving to Niagara than before, thanks to this new and improved economy. This has helped to drive the rise of the housing market as well as projects to create more residential options. It’s also driven an increase in transportation options and city amenities, including new hospital projects and an expansion of the GO train Lakeshore corridor to Niagara. GTA residents are looking toward the Niagara region for retirement options. The prime location makes Toronto accessible within an hour. The United States is also within an hour’s distance. This also means that the region is right in the middle of two major airports, Toronto’s Pearson Airport and Buffalo International Airport. Travel is easy and convenient with both of these airports so close by. Being between Toronto and the United States offers the best of both worlds. There are plenty of travel options to go back and forth, while living far enough away to get out of the city. More people are hearing about Niagara’s hot housing market and getting on board with buying property. As a result, this secret is going to be out of the bag to outside markets very soon. 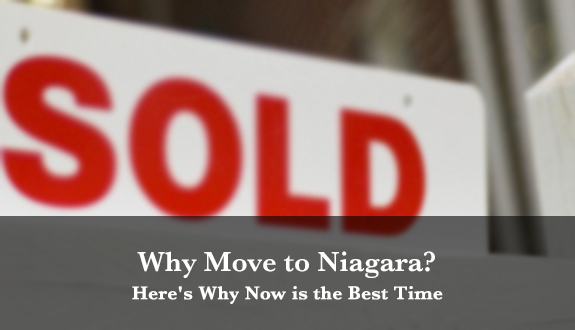 If you want to invest in property in Niagara, you won’t want to wait much longer. The Niagara real estate market is predicted to continue increasing over the next few years, with no sign of slowing down anytime soon. Anything you buy right now is only going to increase in value. This makes investing a clear choice for profiting in the future. If you buy now, you increase your profit margin. 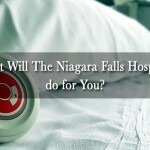 Buying property in Niagara Falls is a no brainer in today’s housing market. When you invest in Niagara, you’re making a smart choice for the future. Upper Vista is Niagara Fall’s first ever luxury condo development project. It’s located right on the 18th hole of the beautiful Thundering Waters Golf Course, surrounded by green forests and stunning views. The condo will have first class amenities that are essential for living an elegant, sophisticated life. These include a pool, sauna, yoga studio, fitness room, guest suites, outdoor garden terrace, and a party room for entertaining. This hot piece of real estate is perfect for home buyers and investors alike. Purchase a luxury condo to spend your retirement in quiet peace. Or use it as an investment property and rent it out. Register now for more information about this amazing opportunity, or to book an appointment at the Markham showroom.